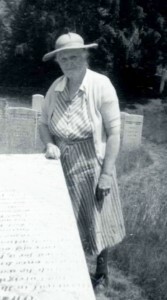 Miss Wiggin, as she was known to all, was the society’s curator from 1949 through her retirement in 1967. 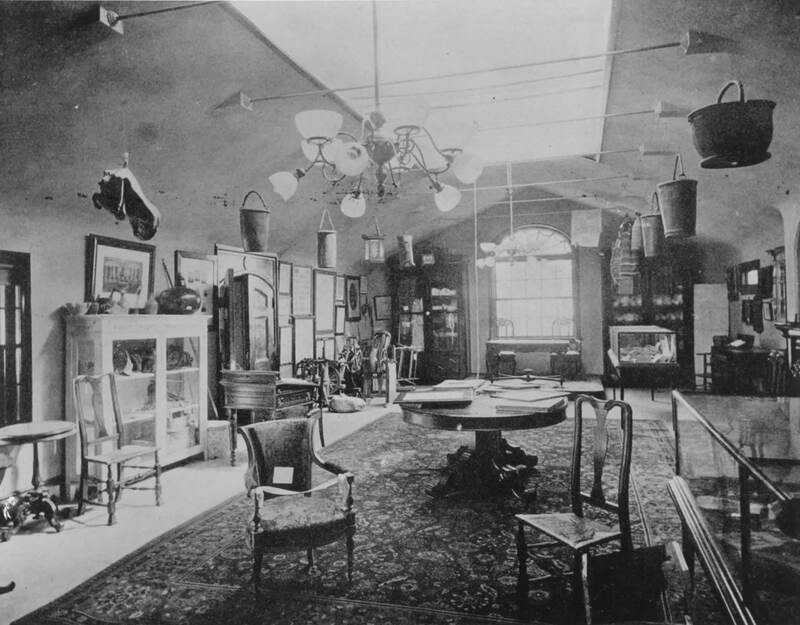 And during those years the museum and library truly were “Miss Wiggin’s Attic.” The early years of the twentieth century were a time of tremendous growth for the Society. These were the years that Society’s earliest supporters, most notably Emily Noyes Vanderpoel and Mary Perkins Quincy tirelessly collected objects and papers for the museum and library. Miss Wiggin took on the task of more formally organizing and cataloguing this vast collection. Her efforts laid the groundwork for the work we do today. Miss Wiggin lived a rich and colorful life before she returned to Litchfield and the Historical Society. She graduated from Smith College in 1908, taught school in New York City and later became the headmistress of schools in Pittsburgh and Washington DC. She served with the Red Cross working with orphans in Serbia , traveled throughout Europe and operated a children’s summer camp in France for many years. The picture shown here is our only known image of Miss Wiggin. We hope any of you who remember Miss Wiggin will share your memories – and photographs – with us. Just click on comment to add your thoughts. This entry was posted in Staff Topics on May 13, 2009 by director. When I was little, my family spent summer weekends and the month of August at Bantam Lake. On rainy days to my great delight I was allowed to go the Historical Society and would poke around for hours. I was especially pleased when Miss Wiggin let me open drawers and discover all the goodies inside. I remember (I think….) in some of the drawers there were collections of mounted insects. We all loved the “exercise” chair and were occasionally allowed to sit in that as well. She was definitely a throwback to another era – slightly stern and intimidating but always immensely interesting. I worked for Lew Wiggin, Charlotte’s nephew, at the bookstore for a number of years. Miss Charlotte ended up with dementia late in life and Lew and I would debate whether it was better to lose your marbles, be happy and healthy or keep your marbles, but not your health. As Miss Charlotte was extremely happy living in her memories, we decided that might be the better course!